Ananka's Diary: Watch Out, Laura! So what happens when the Giant Squid also start flying? okay. i was chewing gum when i clicked the link, but it shocked me so much when i saw this that my jaw dropped, i stopped chewing and my gum almost fell out of my mouth. (it was a lot more comical than it sounds, okay?) but it seems fitting that the youngest person to sail solo around the world is a girl. so why do you think its terrifying, exactly? you like squids. are you happy for them? were you happy for the penguins? Anonymous: I like them . . . in the water. And as long as I'm NOT in the water! I also like to eat them. 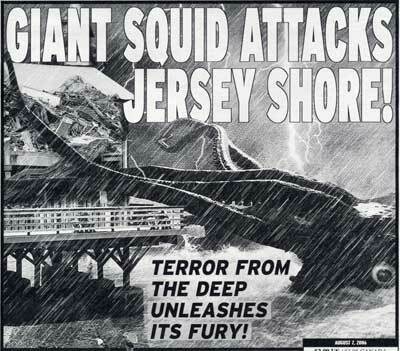 O.o not a good picture when I'll be going to the jersey shore next week. Also yeahness for Laura. My dad and I will track her progress! The Eternal Ones is Out in the UK and Australia! New York Times Best Seller! Am I Sick, or Is This Funny? The Eternal Ones Comes Out TOMORROW!